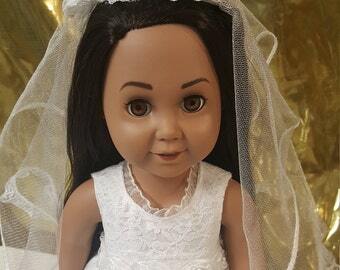 INTRODUCING OUR VERSION OF MARTHA WASHINGTON 18" DOLL, AND COLONIAL PERIOD ENSEMBLE! HistoryWearz's dress-up dolls are designed for ENJOYMENT and NOT designed as replicas! Martha Washington (née Dandridge; June 13 [O.S. June 2] 1731 – May 22, 1802) was the wife of George Washington, the first President of the United States. Although the title was not coined until after her death, Martha Washington served as the first First Lady of the United States. During her lifetime she was often referred to as "Lady Washington". 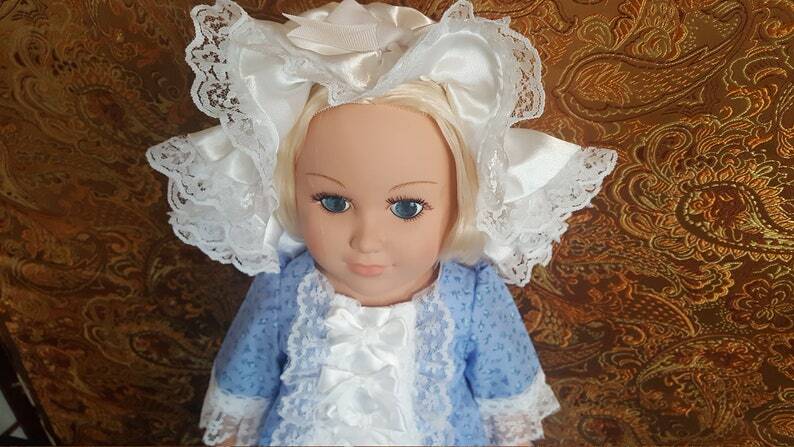 Martha Washington "inspired" 18" doll, long dress, hat, and shoes.